Of course the "Mad Milkman" is not the official name for this sculpture by Oisin Kelly but that is what locals refer to it as. 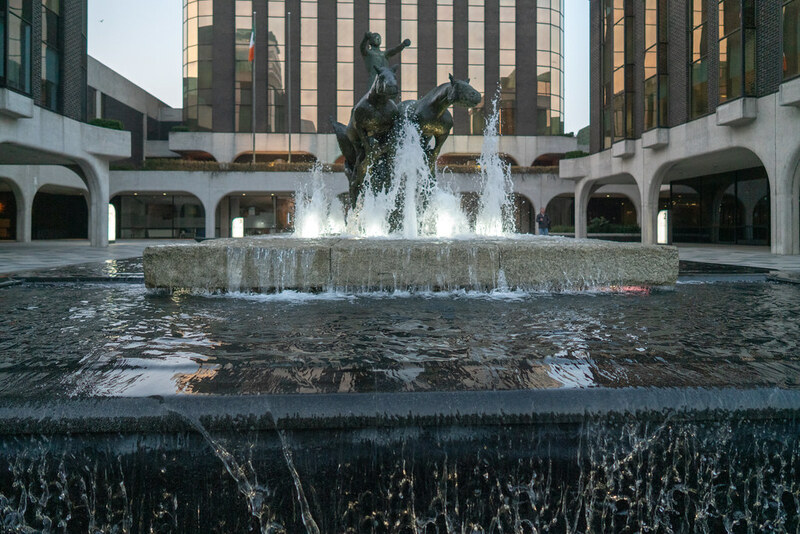 The Chariot Of Life - Oisin Kelly's large copper-bronze sculpture depicts the figure of a charioteer which represents reason controlling the emotions. 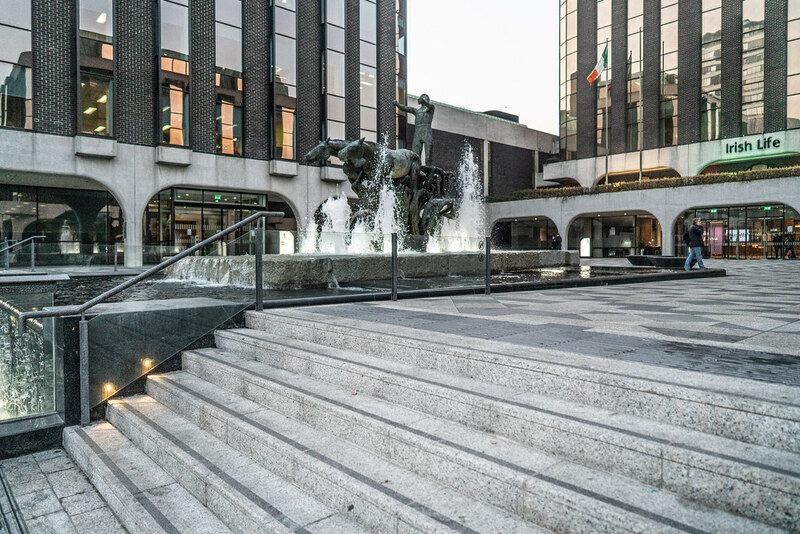 It was unveiled in 1982, the year following the sculptor's death, on the Irish Life Centre plaza, on Dublin's Lower Abbey Street. This is Kelly’s largest work and it was hidden behind hoarding in the courtyard of the Irish Life building on Abbey Street for an extended period. The restoration work was completed in 2017 and it appears to have been moved closer to Abbey Street which is a good thing. I think that it looks much better than it did and I do hope that the water continues to flow because the majority of water features in Ireland are dry.